Pembrokeshire. This bay is famous all around the world for its exotic beaches and incredible marine life. From the Cardigan Bay you can easily view Atlantic Grey Seals and Bottlenose Dolphins. In this article, I would mainly like to highlight some great points about the Cardigan Bay. I am sure visiting this mesmerizing destination would surely be a memorable experience for you and your family members. 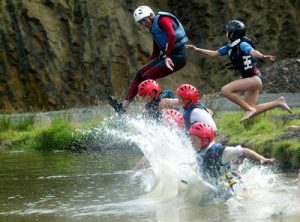 There are various great nature activities that you can thoroughly enjoy in Ceredigion. Some of them include bird watching activities, enjoying forest walks, fishing, water surfing and riverside picnics. Cycling, canoeing, trekking and camping are some other adventurous activities that can be enjoyed. Every year special tours are organized in Cardigan which include numerous fun filled activities and tours. In addition to the numerous activities there are various local attractions also which you can conveniently visit with your family and friends. Some great tourist attrctions are mentioned below. Dolphin Survey Boat Trips organizes numerous trips during which you can really experience the dolphins up close and personal. The Teifi Valley Railway helps you to enjoy a peaceful train ride with your family and friends. The Ceredigion Museum is very famous for ancient artifacts and other small monuments and sculptures. With the help of the various special tours you can really plan out your day in a proper manner. There are numerous high class resorts and luxury hotels located near the Cardigan Bay where you would surely be provided various great facilities and services. If you are on a budget trip then you can also select a good budget accommodation. Wales is famous all around the world for its great food and drinks. Some restaurants that are extremely famous for their unique delicacies are Ty Mawr Restaurant, Harbourmaster Restaurant and Gwesty Cymru Restaurant. If you are looking for the perfect holiday destination, then Wales is an ideal place for you where you would be offered unlimited fun and adventure.